Update: The game Alpha is coming along! I’ll be working on it all day today (Friday), too, and I’ve decided to keep the pre-order/buy/support page up until the end of the day just in case anyone wants to still help out and get access to the game (I’ll be closing it to any new supporters later today. Thanks so much for your support so far, everyone! I really, really appreciate it! Let’s see if we can hit 100 supporters by the end of Today! I’ll be updating this page throughout the day with supporter numbers and WIP game art/progress. Original post 8/27/2015 – So things have been a bit tight lately, and I just had a pretty significant freelance project fall through at the last minute yesterday. It would have sustained me through the next week’s worth of work and generated a big chunk of much-needed income. Instead of freaking out, I’m turning a potentially bad situation into an opportunity to do something neat. And I need your support to make it successful! 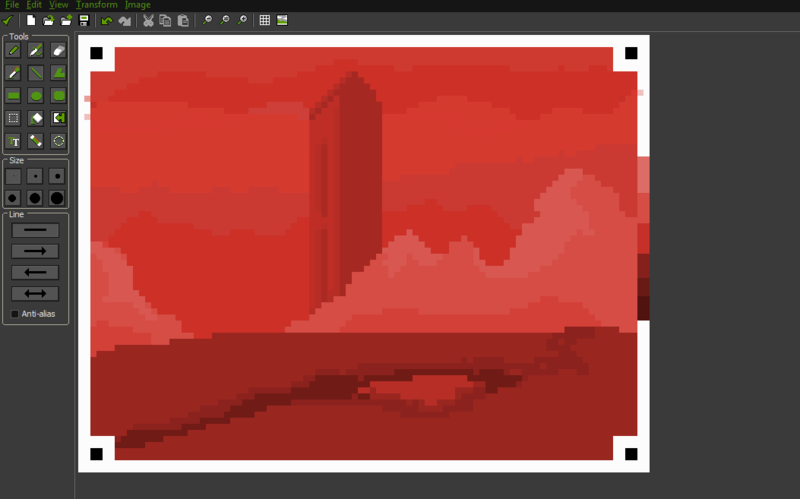 Today (and probably a bit of tomorrow), I’m doing a mini game-jam experiment to fundraise a bit of income and create an interactive fiction space exploration game in Game Maker Studio. I’m loosely calling it DOOMEDSPACE. My goal: 300 supporters 100 supporters! The idea, here is to jump-start the project while offering a chance for folks to kick me a bit of money in exchange for very early access to the alpha of the game. It’ll be a short thing, but my plan for it [detailed below] will have a bit of randomness and branching paths. It’ll be cool. In order to make this work, I’ve set a target goal to shoot for: 300 supporters however many I can get or 100! That’s a lot of people, but it’s also the minimum number of folks I’d need to raise enough to cover a day’s work on this. I’ll be starting the project today anyway, but it’s a nice way to try to gain back a bit of lost income this week and do something cool for folks. You can support the project (and me) for a $1+ minimum suggested donation right here on Itch.io (if you want to pledge more, awesome, since Paypal takes a 33% cut). For your donation and support, you’ll get access to the short early Alpha build of the game (PC only at the moment but planned for iOS too) along with future updates and the full game when it’s done. I’ll also add you to a big thank you that gets sent out later this week. This crowdfunding experiment will ONLY last today (and maybe tomorrow). I’ll be taking the purchase page down by the weekend, so act fast! Any supporters will get a download of the Alpha version this weekend + the full game later when it’s done. Please share this on social media and elsewhere! Systems failing…your ship is disintegrating around you…where will the wormhole send you next? DOOMEDSPACE will be a short interactive fiction game about a doomed space explorer rocketing away through a wormhole in a ship that’s ratting apart. 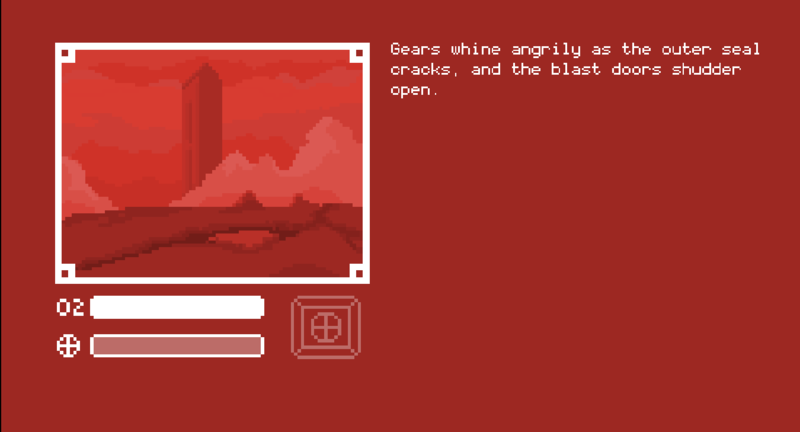 Each run will randomly send you to a different alien world, where you’ll crash land and be faced with exploring and surviving whatever you encounter there. The game won’t be ONLY text. I plan to incorporate some light gameplay elements and will make each short world you explore have a different gameplay experience. What I’m proposing to create this week, over the next day or so, is the first short planet adventure you crash land into. It won’t be super long, but I plan to make each of these adventure vignettes strange and interesting. And I’ll be adding more and randomizing them in the finished game (you’ll be able to unlock each one for future play as you find it). Thanks for your support! Please spread the word! So that’s it! Please considering kicking a minimum of $1 donation to support this project and get an early alpha copy of the game (sent out by the weekend). You’ll help me out and get something neat in return. Cheers! I’ll post updates on my progress (both the game and number of supports) throughout the day below! Video above (yes, I know there’s a typo in there. It’s WIP.